mAh per display square in. 341mAh/sqrin. 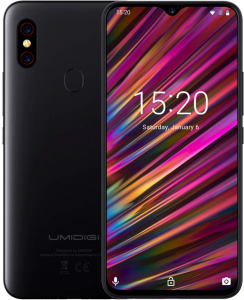 The UMIDIGI F1 rocks a wide 6.3-inch 19.5:9 display with a minimalist waterdrop notch design and a 2340 x 1080 Full HD+ definition, while it boasts a 5150mAh battery, overtaking several tantamount large-screen contenders in terms of raw power capacity. 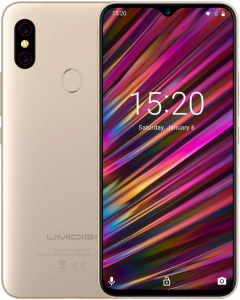 Besides, it also offers a high-tier 16- plus 8-megapixel dual-lens main camera accompanied by a dual-LED flash.